Last week The Smithsonian unveiled an 1885 audio recording that reveals the voice of Alexander Graham Bell for the first time since the inventor’s death in 1922. Bell made the recording on a cardboard and wax disc 128 years ago while working on a competing technology to Edison’s phonograph. During the 4 minutes of audio, Bell can be heard reciting numbers and later, identifying himself and witnesses by name. 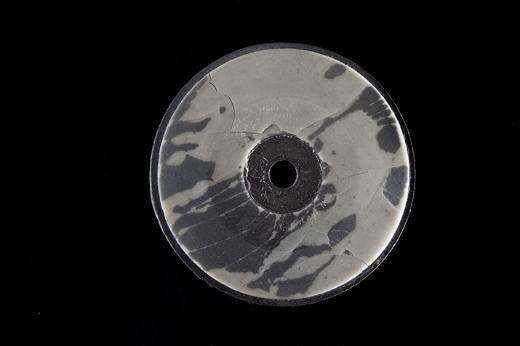 The original disc is too fragile to be played, so researchers at Lawrence Berkeley National Laboratory and the Library of Congress resurrected the recording by optically scanning the disc and recreating the sound through digital processing.